This charming home originated as a Mormon meeting house in the 1900’s and since has been transformed from a rustic seasonal camp to a sophisticated year-round wilderness retreat. 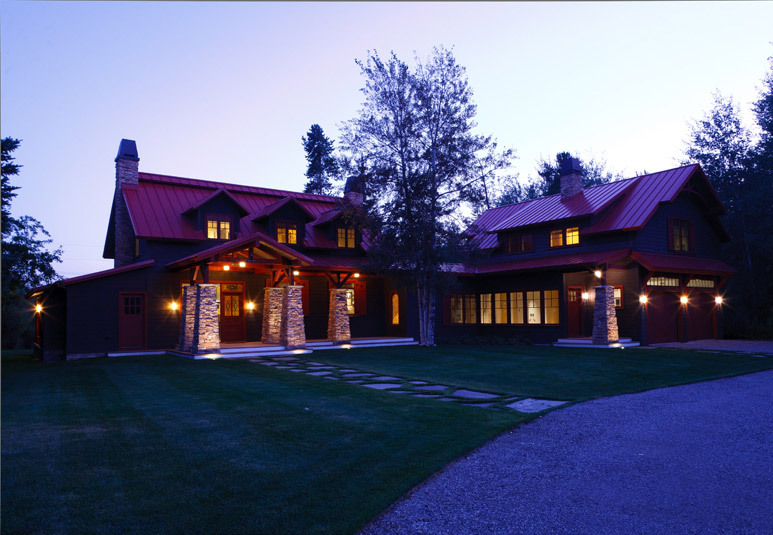 The residence incorporates all the western character appropriate for a home in the valley of Wyoming’s Teton Mountain Range. 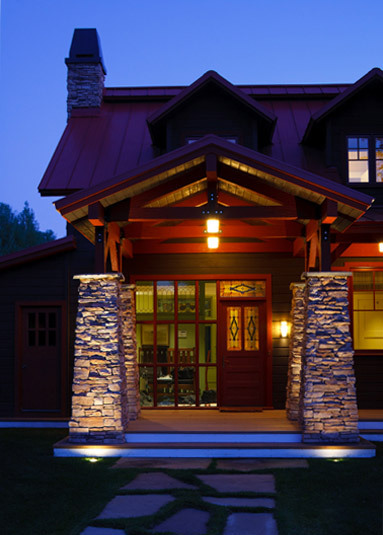 The homeowners’ passion for downhill skiing and entertaining created a busy itinerary but the existing camp required a renovation and addition to accommodate their growing family and guest list. A majority of the interior was gutted to install insulation, new wiring and plumbing. 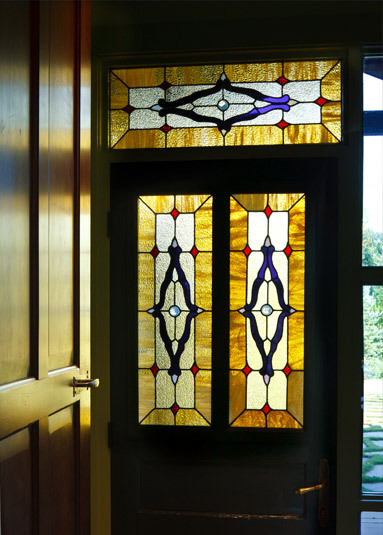 Finishes were either salvaged and restored such as the stain glass windows or updated to compliment a more contemporary arts and crafts style. 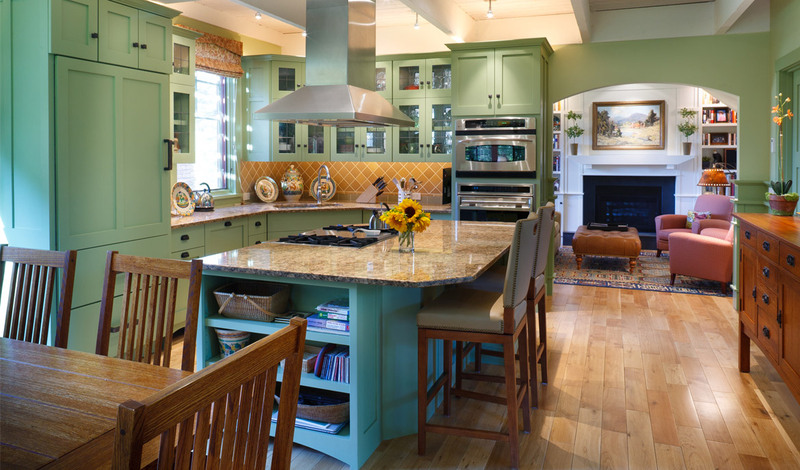 Furniture is placed in each room to satisfy multiple uses in order to make the most of every square foot. With the addition of the master suite above the new two car garage, the homeowners have privacy when the rest of their home is filled with guests. 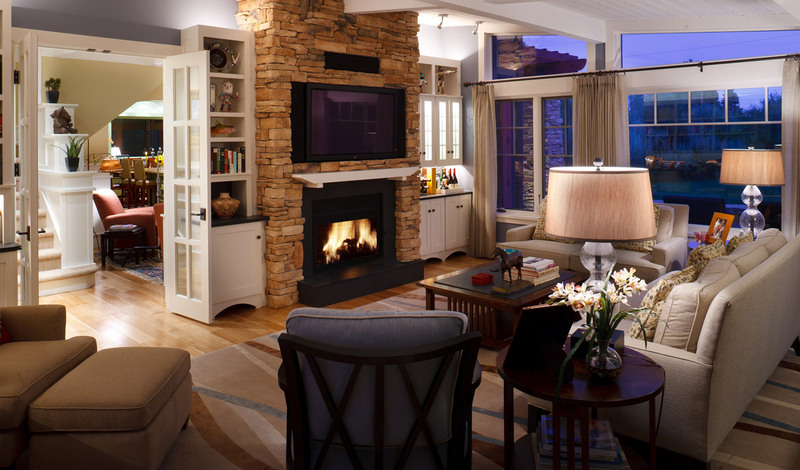 Their suite is complete with the addition of a private deck overlooking views of the valley and mountains beyond.